With all of the twists, turns and hold-your-breath-to-see-how-it-turns-out moments, creating a custom home can be the adventure of a lifetime. "I never thought we'd build a house!" says Johnna Nickoloff, who along with her husband Jonathan, recently moved into their custom build on Spokane's south side. "I never really had any desire to build until we realized there was nothing out there that matched what we needed and wanted. We wanted a house with an open concept that was modern, but not too modern." 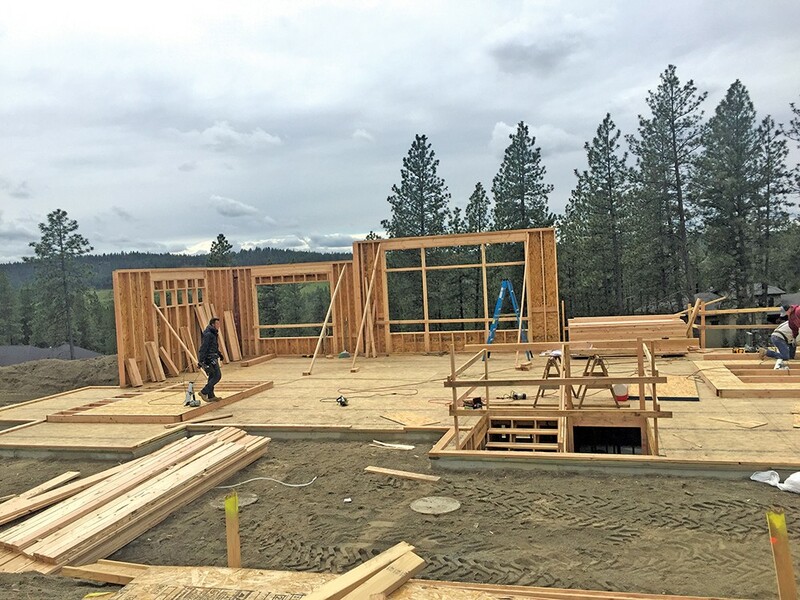 Johnna Nickoloff documented the entire construction process of her family's custom home in south Spokane. 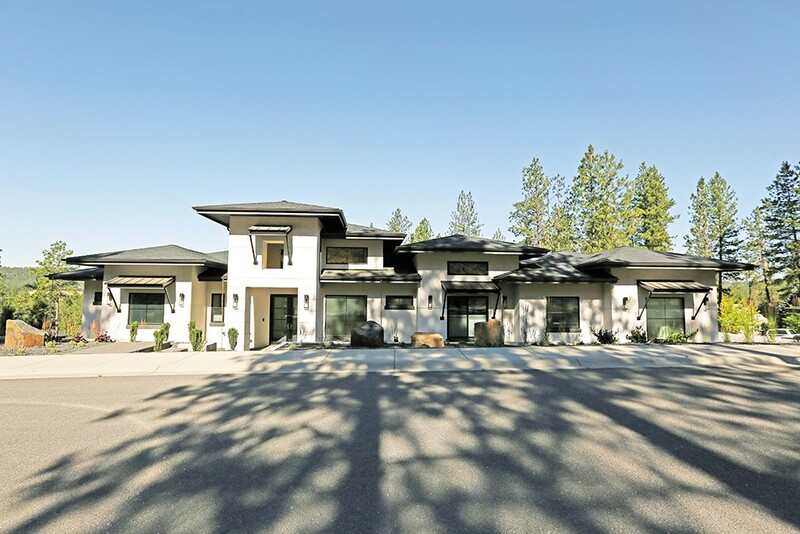 It was a need that also inspired Lisa and Paul Whitehead to build their custom home in Coeur d'Alene. "We wanted to be near the lake and downtown Coeur d'Alene, but there were no houses available in the size or style we wanted," says Lisa. They demolished an existing 1907 house and built a new home on the lot. "We did consider a complete remodel, but the costs were similar and we liked the idea of everything being new and low maintenance. In addition, we had lots of ideas about the style of the house we wanted that couldn't be found in the older models or even new spec homes that have been built in the area." Creating the crisp, modern Mediterranean exterior Johnna Nickoloff envisioned for her new home was a challenge; she finally found an example of the look on houzz.com. Going from ideas to a finished house requires planning, budgeting, patience and flexibility. Working with the right builder is a major first step, one that the Nickoloffs accomplished by hiring Josh Taylor of Taylor Design. One of the homes they had looked at while house hunting, but before deciding to build, was a Taylor Design. Additionally, they had friends who built with Taylor and had a positive experience. 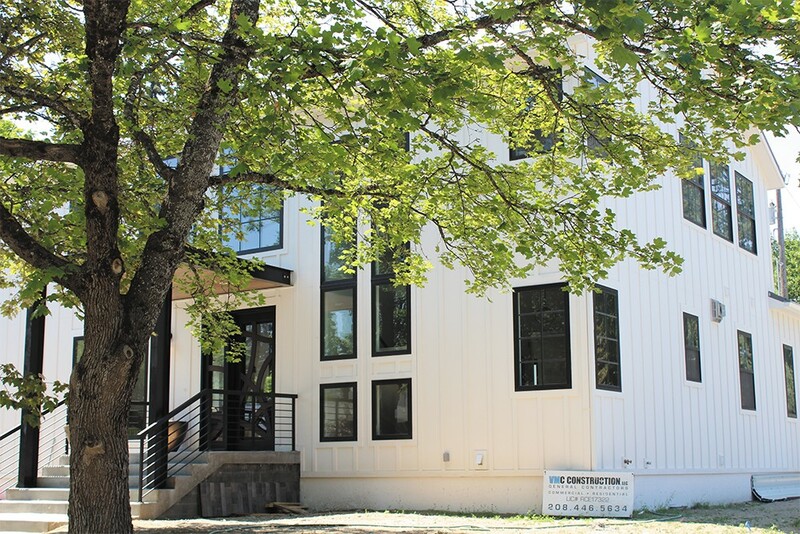 For the Whiteheads, they took on much of the design work and collaborated very closely with their builder and general contractor, Vance Mitchell, to select all finishes and execute their unique design features. "It started by identifying what we liked and didn't like functionally about our past houses," says Lisa. "We also talked to friends and family about what they liked and didn't like about their houses. Once we had a list of what we wanted in our house, we put it in priority order." For Johnna, her original focus as they began planning was the aesthetics of the home. "I was really focused on the aesthetics, not really the function," she says, "but what is surprising is that what I love now that we have moved in is really the function of the home." 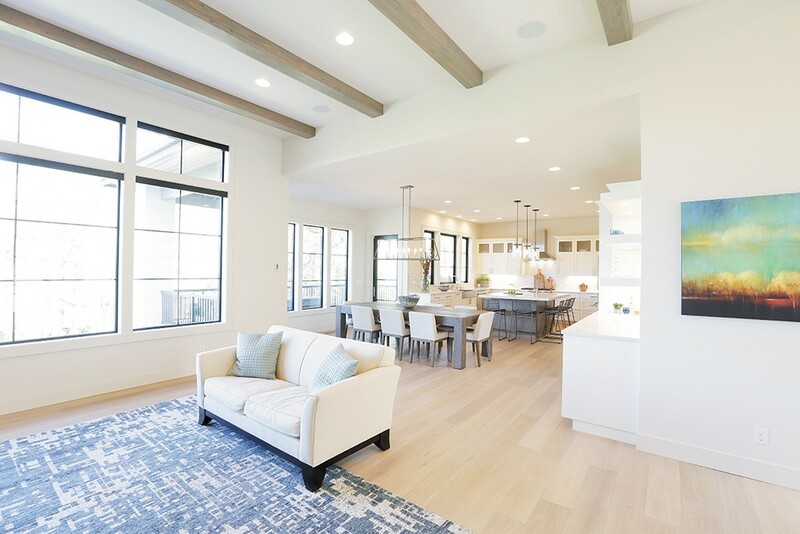 The airy Nickoloff home is grounded by black accents such as the geometric stair railing and Pella Architect Series contemporary windows; the wood floors are Lugano from DuChateau's Vernal Collection. The graceful iron ring chandelier is from Shades of Light. Having good function is the foundation upon which the aesthetics can be built, creating a visually inviting home that matches your specific style and interest. 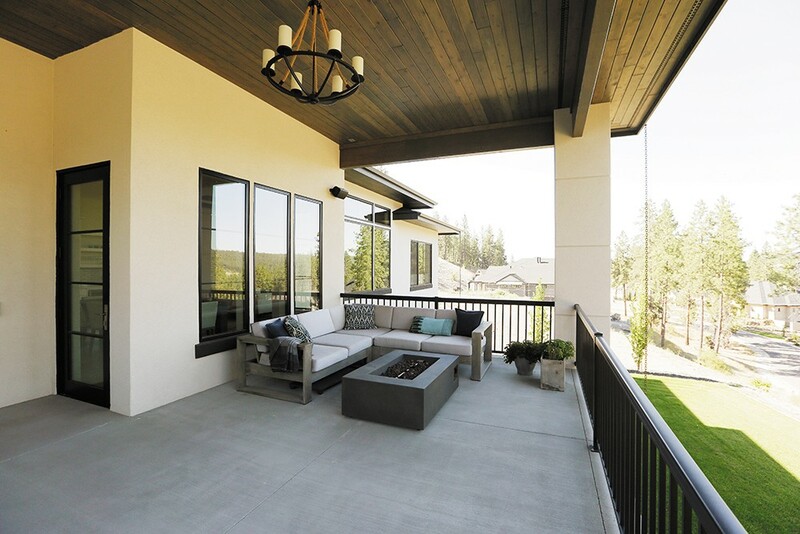 "I wanted modern Mediterranean, something different from the typical Northwest look," says Johnna. Coming up with an exact look for their home proved more difficult than expected. "We went through three or four different exterior looks. Josh was really good at listening, but I couldn't describe the exact look I wanted, until I finally found something online on Houzz." The online world is a deep pool to wade into, but the resources available are a huge help to anyone building a home. "There are many great resources that are helpful for those planning a home, like HGTV, Houzz, Instagram and Pinterest," says Allison Taylor. Working with her husband Josh, at Taylor Design, Allison is responsible for designing the interior look of the homes they build, including the Nickoloffs'. She suggests homeowners share ideas they find on these resources, so their builder can better understand the aesthetic. "Then, work together to eliminate ambiguity in expectations. Sometimes these great ideas create expectations that are higher than the budget." "Regarding budget, I think there are some people who are good at following their budget; we weren't!" says Lisa. "As we came up with ideas, the costs came up as well." "Across the line, you have to expect to pay more than what you go in thinking you will," says Johnna. "If you're not willing to compromise and pay a bit more, you're not going to get the specifics that you want." For both couples, black-trimmed windows were essential and expensive. 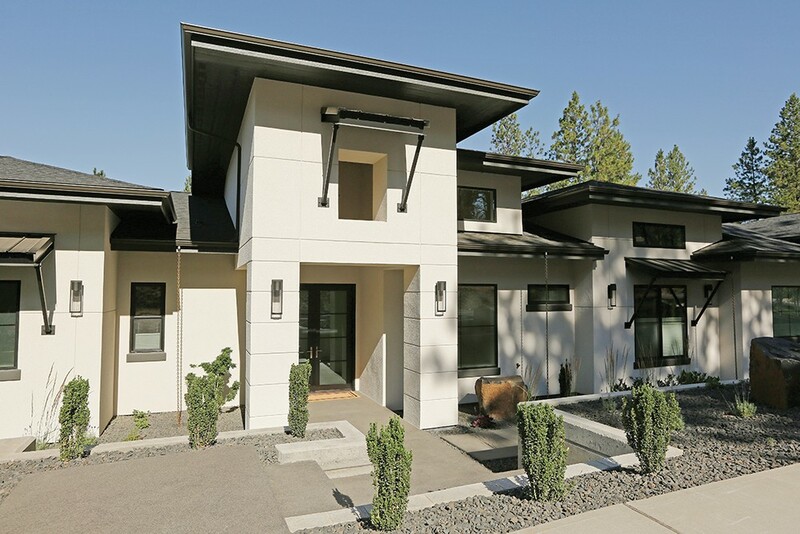 Lisa Whitehead did all the interior and exterior design for her custom home in Coeur d'Alene. One challenge was sourcing the home's Anderson 100 Series black trim windows. "It all adds up, but Josh was really good about taking into consideration what we wanted, and working that into an honest budget," says Johnna. When the Whiteheads changed their plans, adding an interior glass garage door feature that allowed incredible views of the lake, it came with a $3,000 cost addition to the bottom line. 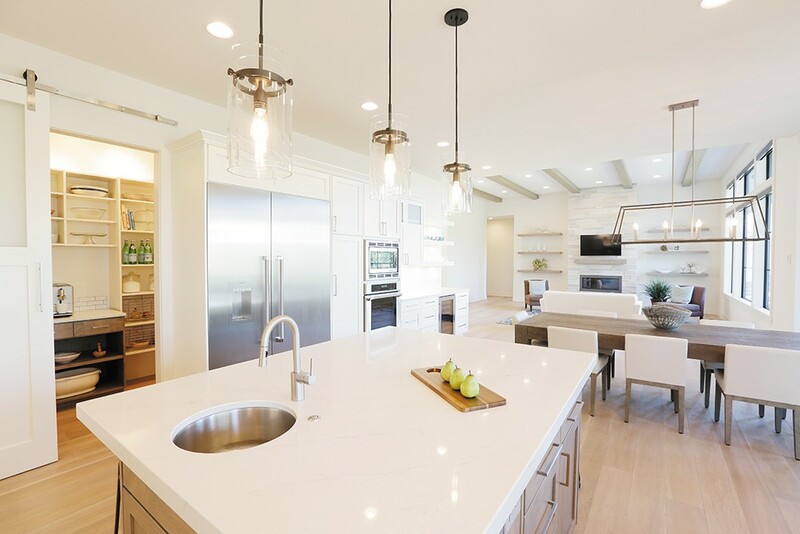 "Designing on the fly is definitely one of the most fun aspects of building a custom home, but it may get you into trouble with the budget," says Lisa. "It can also be exasperating, as there are lots of good ideas that you just don't get to have due to budget constraints." "Things get to evolve when you are doing a custom house," says Lisa Whitehead. 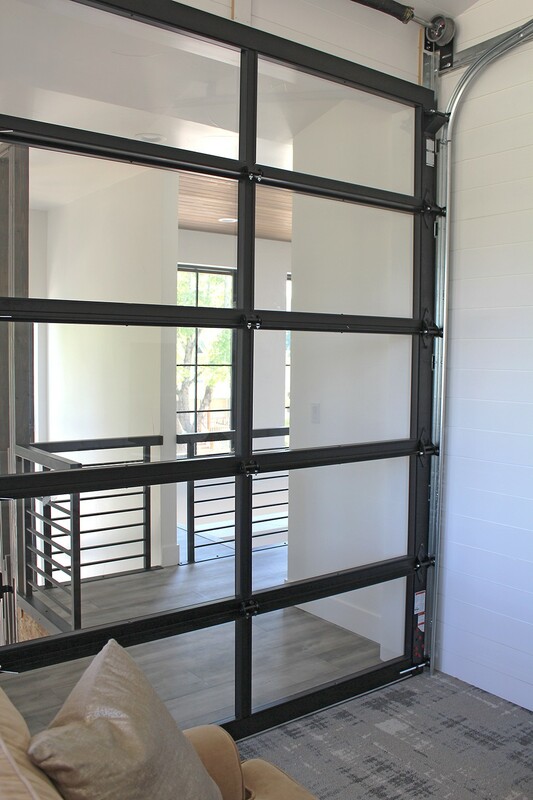 One change was the addition of this interior glass garage door. If you can work with the budget though, custom home building can produce great results. "Our building experience was super seamless, though I have no desire to do it again," says Johnna. "No, I hope we can live in this house until it's time for a retirement home. It was such a good build." "We would be a lot better at it the second time around," says Lisa, of lessons learned during their hands-on approach to building. "I would categorize it as 51 percent fun and 49 percent hard work and frustration, but we definitely have the house of our dreams." Still, she adds, with a hint of surprise, "I just never thought it would take so long to get to the finish line." 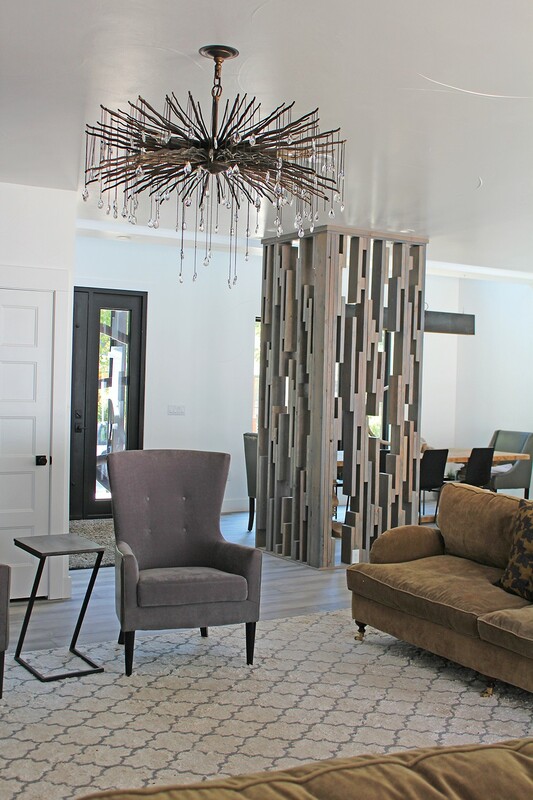 The dazzling living room light fixture was purchased on personal shopping trip to Denver; Lisa designed and crafted the mid-century modern wood screen from scrap lumber on the homebuild site. Investigate thoroughly, and very early on, the lot restrictions, building codes, CCRs (covenants, conditions and restrictions) for any land on which you are building. Search print and online sources for inspiration and ideas. Catalog things you like and don't like. A picture is the best way to convey the look you want to achieve. Consider hiring an architect. They think about things you don't think of on your own, like the best use of space and how to create flow. Their work will have a great impact on the finished design and product. Select finishes — flooring, tile, windows, etc. — in advance of starting the building process and have a back-up plan in case a product is not available, or comes in looking different than the sample. Understand that your vision for the home may be different from how it will actually look when it's built on the lot. Be prepared to adjust your move-in date. Go into your custom home build with the concept that it doesn't have to be a stressful experience and that you are lucky to be building the home you desire.